Stephen P. Shepard is a Maryland criminal defense attorney and the owner of The Law Office of Stephen P. Shepard, LLC. He has extensive experience in handling criminal, DUI/DWI, serious traffic, and violation of probation cases. Additionally, he has zealously represented clients at bail review hearings, modification of sentence hearings, and various other legal proceedings. Before founding his own law office, he served as a full-time volunteer attorney for the Maryland Office of the Public Defender. As a volunteer attorney, he personally handled hundreds of cases in the District Court Division of the Howard County office, and later, the Baltimore County office. 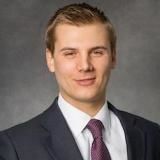 Prior to becoming an attorney in Maryland, Stephen volunteered during his summers in law school as a full-time law clerk for the Maryland Office of the Public Defender. During his last summer, he served as the law clerk for the District Public Defender for Howard County. Stephen is presently a member of the American Bar Association, National Association of Criminal Defense Lawyers, American Association of Premiere DUI Defense Attorneys, National Association of Drug Court Professionals, Maryland State Bar Association, Maryland Criminal Defense Attorney’s Association, and the Baltimore County Bar Association. Stephen was recently inducted into the National College for DUI Defense. Contact my office today for a free 60-minute office or phone consultation with an attorney. Appointed Defense Attorney for the Howard County Drug/DUI Court Program. An introductory video to Stephen P. Shepard and the Law Office of Stephen P. Shepard, LLC. Q. If charged with second degree assault would it be good to take anger management classes before going to court? A: Unless you are absolutely sure that you will be found not guilty, I would highly recommend anger management classes to you if you were my client and facing an assault charge. Many people do not realize this, but anger management classes can be taken online. You no longer have to sit through a boring class with other people. Most, if not all, of my clients, prefer the online class method. However, some online classes are more reputable than others. That is one way in which an experienced criminal defense attorney can be of great assistance to you.